The Board of Directors is the Society’s decision-making body; it has authority to act on all matters not reserved to the council or to the Society as a whole. 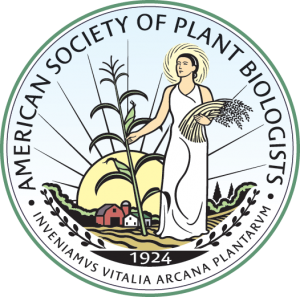 The board of directors is charged with maintaining the activities of the Society in furthering the science of plant biology. Decisions of the board of directors require a quorum of six voting members and the majority of votes cast, unless otherwise directed herein. The Board of Trustees shall oversee the investments of the Society, and shall prepare the annual budget for the board of directors’ approval. The trustees share with the treasurer the responsibility for the financial stability of the Society. The Council is the Society’s deliberating body; it provides leadership and guidance in setting the overall direction of the Society via the strategic plan. The council evaluates novel program, product, and service concepts in the context of the strategic plan and through its comprehensive sense of the Society’s directions and priorities, makes recommendations to the board of directors accordingly. The Constitution and Bylaws Committee is charged with maintaining and, as necessary, recommending updates to the Society’s constitution and bylaws. The committee’s recommendations are reviewed by the council and voted on by the board of directors, as described elsewhere in this document. The Education Committee, through seminars, publications, lectures, or other appropriate means, shall promote and improve the teaching and public awareness of plant biology as a constantly expanding science. The International Committee has as its function exploring and, where consistent with the strategic plan and Society priorities, developing relationships between ASPB and other organizations based outside the United States. The Membership Committee has as its function the maintenance and enhancement of the membership of the Society by continuing to address issues of recruitment of new members and retention of those presently enrolled, and to provide membership services and benefits that are consistent with the strategic plan and the council’s priorities and that meet the approval of the board of directors of the Society. The Minority Affairs Committee works to broaden participation in plant biology by members of underrepresented groups. It works to address issues of particular concern to underrepresented minority scientists and their supporters and to promote the inclusion of minority plant biologists in all aspects of the Society and the profession. The Nominations Committee is charged with carrying out the annual nominations procedures, as described in Article VII of the Society’s constitution. The Program Committee, chaired by the secretary, shall plan, arrange, and publicize the annual programs of the Society. The Publications Committee shall supervise and report to the board of directors on all non-editorial aspects of the Society’s journals and other publications, including budget requests and printing contracts arranged by the editors and the headquarters office. The publications committee shall search and make recommendations to the board of directors on appointment of editors-in-chief of the journals or other publications, and shall review and make recommendations to the board of directors for their reappointment after each five years’ service. Members of an editorial board of a journal or other publication shall be appointed for up to five years of service by the publications committee on the recommendation of the editor-in-chief. The Science Policy Committee shall explain the interests of plant science to the U.S. Congress, Executive Branch and the public. The science policy committee will provide comments to appropriate members and committees of Congress; coordinate interaction with officials in Congress and federal agencies; assist Society members in contacting and providing educational information to policy makers; develop a strategy and objectives for support of basic plant science and coordinate efforts with other plant science societies and related groups; and ensure Society public affairs efforts are consistent with applicable laws. The Women in Plant Biology Committee has as its function the maintenance and enhancement of the status of women plant biologists by continuing to address issues of particular concern to women scientists and to promote the inclusion of female plant biologists in all aspects of our Society and profession.